Spiral bound for easy use. 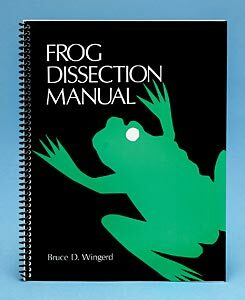 The student is guided through a complete dissection with easy-to-follow directions and accurate, clearly labeled illustrations. Anatomical structures appear in the sequence encountered during an actual dissection: first the external anatomy, then the skeletal, muscular, digestive, respiratory, circulatory, urogenital, and nervous systems. Soft cover. Johns Hopkins Laboratory dissection series.